Highest monthly ROAS for the 3rd month in a row! 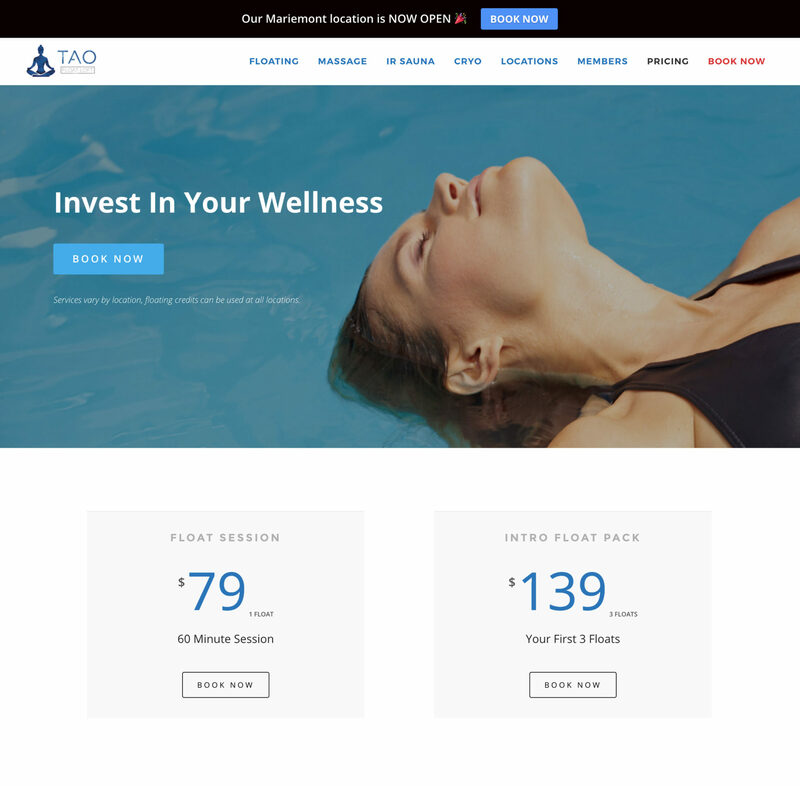 With Tao Float Loft’s new Mariemont location going into their 2nd month, we were wanting to focus on not only continuing to bring in lots of new faces but also start to retain people for the long term. We used their Business Upgrade hours to revamp their pricing page on their website to be more user-friendly and clear while also advising on pricing options and strategy. 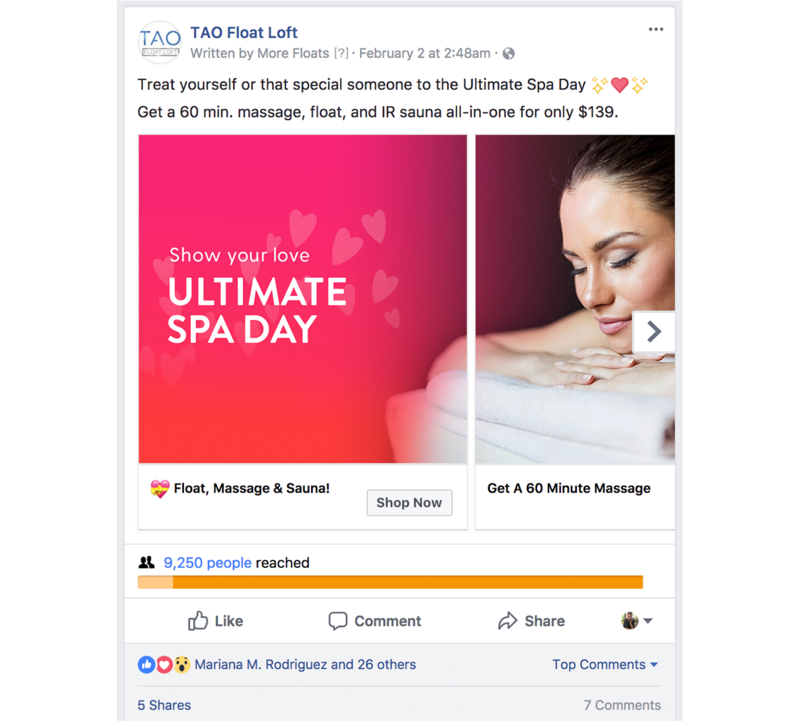 The Valentine’s Day promotion was one of their most successful, while we also increased first-timers and returning visitors throughout the month. Our top performing ad got 1405% ROAS overall! There was little distinction between the many pricing options by service or location and simply too many options that made it overwhelming. 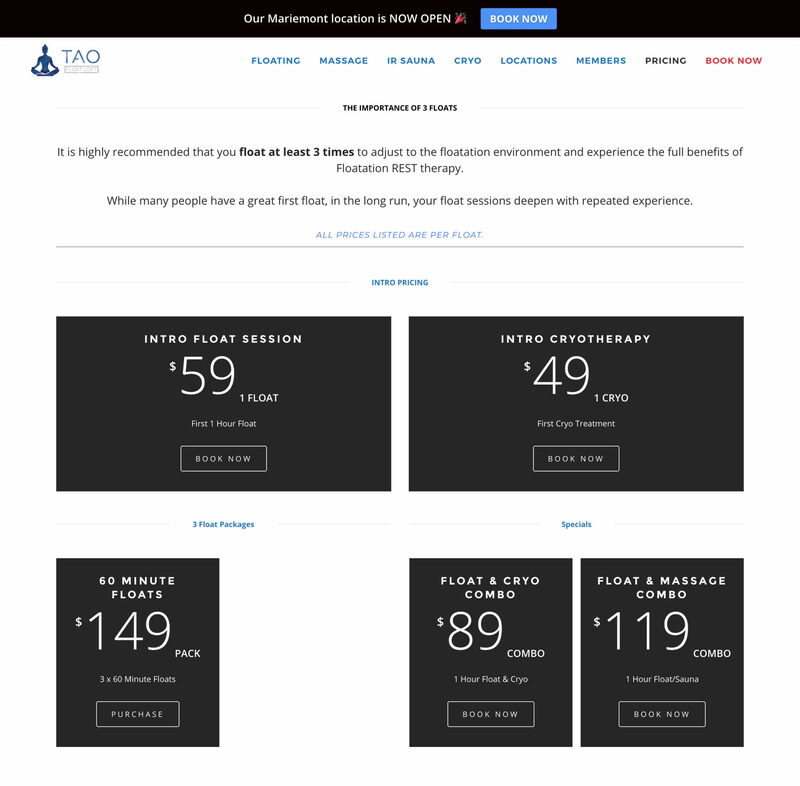 We removed pricing options, while also improving the design, layout and colors used to help highlight certain sections and provide a stronger call-to-action. First two metrics are for Mariemont location only. 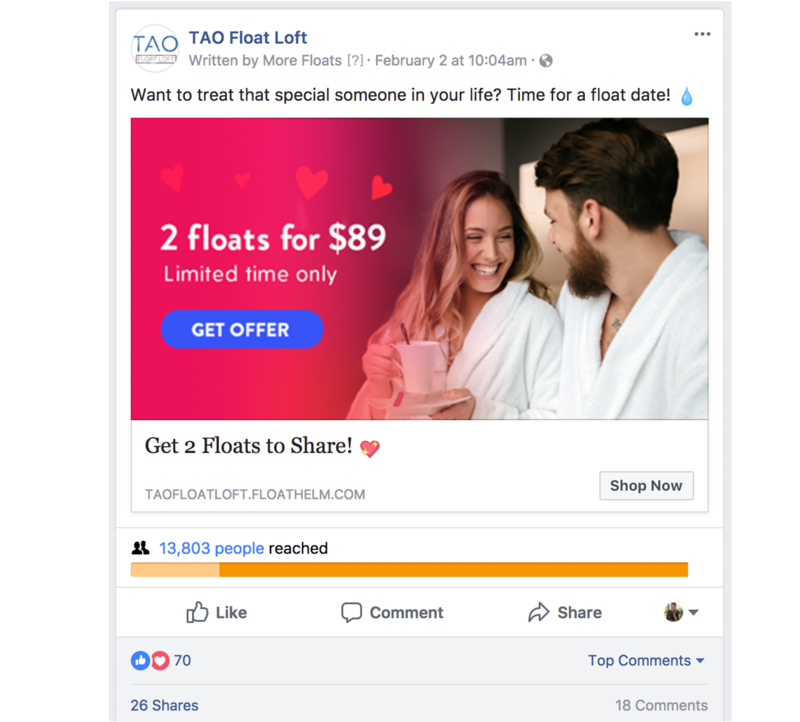 The Valentine’s Day ad campaign ran for 15 days and resulted in a total of 70,326 impressions.